Women-mothers are made of fire. We hold the potential to both burn and balm, harm and heal, inearth and illuminate, exhaust and embrace. It is this same fire that can mold fear into double-edged weapons with the intention to protect against the violence of darkness. This darkness will choose to harm you, like others have, attempting to destroy your light. But it will fail. Daughters, your fire holds the potential to either burn or balm the cracks between your broken heart, to harm or heal the darkened skin across your arms, to inearth or illuminate hopeful visions of your future self, to exhaust or embrace the woman you ar e becoming. May we women realize that we are fire. We must remember, more often, to feel its warmth. There are a number of women saints who have intrigued me over the years. At this time of year, I tend to recall fondly stories of St. Brigid. She, along with St. Patrick, are the two patron saints of Ireland. Now it’s hard to pin down what is historically accurate about a woman named Brigid who lived 1500 years ago and what are mythical stories that developed. And it really doesn’t matter. The Celtic imagination knows that truth and inspiration can be found in these stories, no matter what may have factually occurred. One story about Brigid is that she was the midwife during the birth of Jesus. Now we know that Brigid lived about 450 years after Jesus, but that’s beside the point. The story of Brigid helping Mary give birth to the Prince of Peace provides real truth. The figure of Brigid herself is all about new life, giving birth, transitioning to a new way of existing. Throughout most of history, wise women were midwives. These were women who understood nature and creation. They used the gifts of creation to help mothers as they endured the traumatic physical event of giving birth. Then they made certain this new little baby transitioned from the safety of the womb to a new existence in this world. The message for this season of the year is about giving birth, symbolically transitioning to a new life. For each person here, we have all experienced transitions to a new life – a new birth. Our first transition was a physical birth, just like the baby Jesus. We had new births when we started school, and were students. We had new births if younger siblings came along – and we birthed a new identity as an older sibling. We have new births with celebration of birthdays – becoming a teen, a legal adult, a person of middle age, a retired individual. We have births with new jobs and vocational opportunities. We have new births when we enter into deep relationships which transform us and enable us to grow. We have new births when we discover our calling in life, and take steps towards on that journey. And at each point with the new births in our lives, there have been midwives – people who have used their gifts to ease the pain of transition and to help us be healthy and strong as we encounter our new lives. During this Christmas season, I encourage everyone to think about how you can be a midwife. How can we be like St. Brigid, helping birth a new world? We can seek to ease pain and suffering – whether it’s physical, emotional, or spiritual. We can offer words and actions of kindness and grace. As we celebrate the Prince of Peace today, we can share peace with others – and especially others who may not bring peace to us. We can offer hope. We live in days when we are constantly bombarded by images and actions of violence, hatred, divisiveness, and fear. Hope can keep us moving forward on days when the awfulness around us can paralyze us. A midwife recognizes hope, encourages it, and helps others live in hope – no matter what we might encounter. St. Brigid – whether she was a real woman, simply a legend which developed, or a combination of the two – inspires us to be midwives – to move forward to a new life, a new birth, a new way of being filled with peace, love, compassion, and hope. 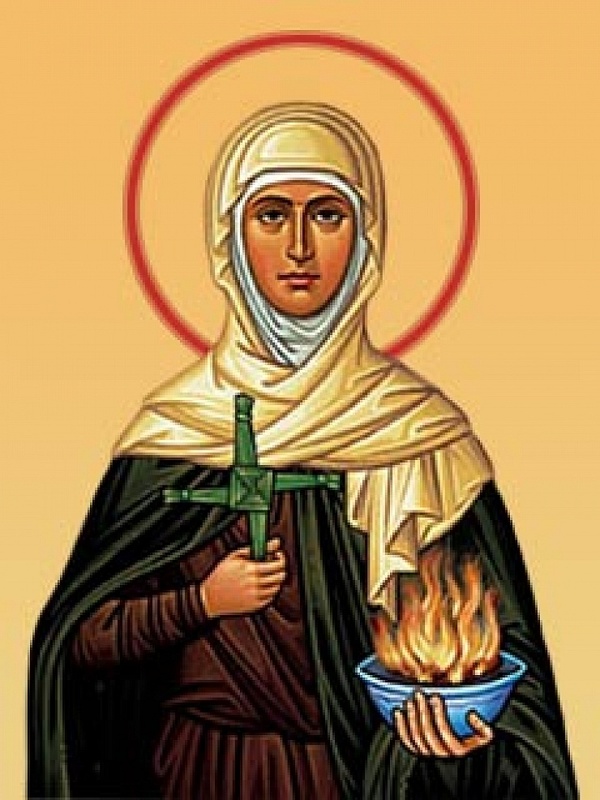 Let each one of us seek to be like St. Brigid – a midwife. Let us seek to help birth a new life, a new world, around us. Today, as we celebrate the birth of the baby Jesus, I would like to close with the hearth prayer of St. Brigid. Mothers of our mother, Foremothers strong. Remind us how to kindle the hearth. To keep it bright, to preserve the flame. To kindle the light, Both day and night. From harm, from ignorance, from heartlessness. From dawn till dark, From dark till dawn. Amen. “Being a mother is the greatest thing a woman could do.” Kathie Lee Gifford uttered these words some 25 years ago to Regis Philbin, while I watched the tv with an older friend, who had a house filled with children. “I don’t think that’s always true,” I responded, but was quickly reprimanded by my friend. I responded by saying that it certainly was true for some women – perhaps many women – but not every woman. I decided (wisely, I thought) to let the subject drop. I was not yet a mother, but knew I wanted to adopt children who needed homes. I had always wanted to be a mom one day, but didn’t feel the drive for pregnancy that many women experience. A graduate student at the time, preparing for a career, I also was not blind to the fact that professional mothers had much more challenging lives than professional fathers (and that unfortunately has not changed over the years). And even though I very much wanted to be a parent, I knew there were women who did not feel that calling in their lives. Being a mom is a core part of who I am. Yet, not every woman is able to be a mom or is called to be one. This might be a choice, or imposed on a woman by circumstances. It also might be a woman who has biological children but is either unwilling or unable to be the parent a child deserves, offering support, love, and a home. Yet, one thing remains true in our society. Being a mother is seen as the highest ideal for a woman in our society. Every little girl is expected to want children, and every newly wed woman is asked about the time plan for starting a family. New moms have to make choices about employment and child-care. Young women who aren’t even married wonder how they might balance children and a career one day, while that thought rarely crosses a young man’s mind. And if a young woman doesn’t want children, or is not planning for them, disdain often is reigned down upon her. She is seen as selfish, uncaring, egocentric. All this occurs because we have made motherhood an idol. It goes along with the ideals of placing women on a pedestal. Either women conform to the patriarchal notion as saints in the household, sacrificing all for their children, or they are knocked off the pedestal to be trampled by others’ judgments. Motherhood is a gift, not a requirement. For me personally, I wanted both my children. They are the most wonderful part of my life, but also sometimes the most challenging. I worry, celebrate, offer guidance and sometimes judgment, and have spent more time and money on them than I could count. As much as they fill my life with joy and love, I know that motherhood is an ongoing journey which has occasionally been smooth and other times been filled with rocks and potholes. I know I have failed miserably at times. The one consistent thing I can offer is my never-ending love to them. Yet, choosing to be a mother does not make me a saint. It is simply part of my journey. As Mother’s Day approaches, I pray that our society will find better ways to honor mothers. We can see them as real human beings, who are fallible and have dreams and desires apart from their children. We can also honor women who have other callings in their lives, and do not have biological or legal children. Let us step away from thinking of them as less than because of their life circumstances or decisions. I know numerous women who have no legal children who have been instrumental in helping me rear my own, and in offering support to me when I often most needed it. I also feel I have a number of other “children” who are not legally related to me. Their presence in my life fills my heart. Some Native American tribes pray to the Great Mother. A mother is someone who gives birth – and this might be a physical birth, but it also can be giving birth to love, hope, compassion, kindness, peace, and joy. For Mother’s Day, instead of focusing on a biological act, I hope we can focus on giving birth to these qualities in our society. “I just love women. 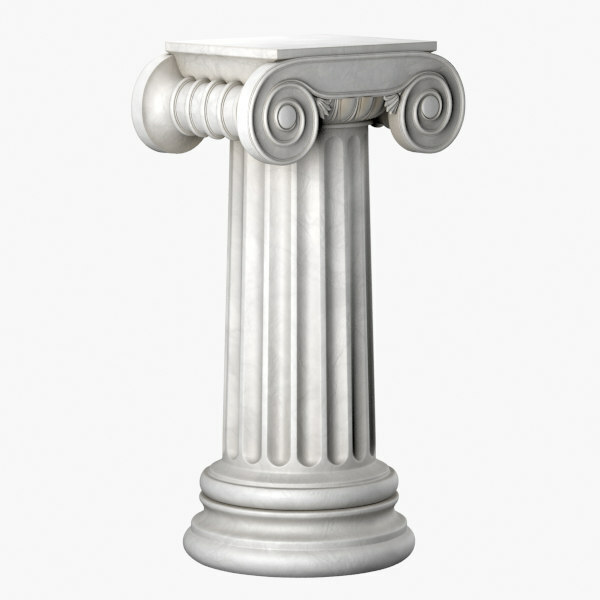 I put them on a pedestal.” A well-known author spoke those words to me the other night. We were at a social gathering, and I found myself the only woman in a circle of men. The author is someone who has presented insightful information about egalitarianism and the prominent role women have in creation, theology, and mythology. His writings and teachings are ones I appreciate. Yet, given the current status of women in this country, those words rankled. “Women don’t want to be placed on a pedestal! They want to be equal partners!” Our discussion continued until it took a different direction, but the image of a pedestal remained with me. While we have a President who only wants women under him (literally and figuratively), we have a Vice-President who wants to place women on a pedestal. I am not surprised by the recent news highlighting Mike Pence’s refusal to dine or work with a woman without a man present, including business functions. (As a woman in the male dominated field of ministry, I would be essentially isolated if I followed such a rule in regards to my male colleagues.) Anyone who followed the election process should well comprehend his view of a “Christian theocracy,” a place presided over by very conservative men who have a narrow understanding of the Bible and Christian faith, and wish to impose this legally on the rest of the nation. It is this view that propagates placing women on a pedestal – supposedly raising them up to a place where they are honored, adored, and treasured. People who follow this viewpoint use specific passages from the Bible to support their ideas, namely Proverbs 31. They claim it’s the greatest way to respect a woman. Yet, when one is placed on a pedestal, it’s too easy to be knocked off. A woman is either the saint, residing just out of reach of ordinary mortals – or she is the whore, the fallen woman who tempts good men and leads them to destruction. This idea of placing a woman on a pedestal took root in the early 1800s in the American South. It coincided with the view that a “real man” was a tough guy, aggressive, competitive, and master of all he surveyed. This included not just his land, wife, and children, but also his slaves. Placing women on a pedestal was a way to keep them caged so that a man could maintain control and power. I don’t want to be on a pedestal. I want to be an equal with men, whether it is in personal or business relationships. Neither of the two men who are representing us in Washington have any concept what that means. While it’s more obvious in the President’s case, it is perhaps more dangerous in the case of the Vice-President. Claiming to honor and protect women (and supposedly his own virtue) is code for saying he doesn’t really trust them, and he certainly can’t trust himself. People who are not on the same level can never truly be equals. A pedestal is simply a jail. Labyrinths aren’t a maze – they have a set path towards the center, and back out again. Normally circular in nature, these pre-Christian structures symbolize the universe, the womb, the heart of life. Christians co-opted these paths during the Medieval period in Europe, and recent years have seen a resurgence in interest, from both Christians and non-Christians alike. The primary manner of walking a labyrinth is to let go of whatever weighs on us as we journey to the center. The time in the core is one of illumination, and then the journey outward is one of union with the Divine or whatever guiding power is present in one’s life. But really – one can walk, dance, skip, or crawl a labyrinth any way one pleases. What is important is connecting with the transformative energy. This particular labyrinth was built around the idea of connecting with the earth’s energy. Now, I am certainly not a scientist. When one mentions energy, I normally think “wish I had more,” or “equals mc squared.” But my friend is a scientist, and his thoughts were focused on the definition of energy. He suggested that “essence” might be a better word. I think he might be right. While the power of walking a labyrinth is a mystical mystery, I know that I am connected with essence when I engage my body, heart, and mind with such a journey. It might be the essence of the Divine. It might be my own essence. It definitely incorporates the essence of creation and nature. And even though it is a solitary walk, it connects me with the essence of others, like my friend on the same path, or friends who have walked other labyrinths on other days. The labyrinth certainly reflects our life journeys. We wander, weave, stumble, fall, run, and just when it seems like we won’t ever find our way – we have arrived in the heart of the walk. We touch base with the core of our lives, our essence, and then continue once again to place one foot in front of the other as the sojourn moves forward. And each time we connect with the essence, a new understanding is revealed to us, and empowers us to continue our pilgrimage. We might never comprehend the meaning of life, but a glimmer of this essence can guide us quite some way until the next glimmer reveals itself.